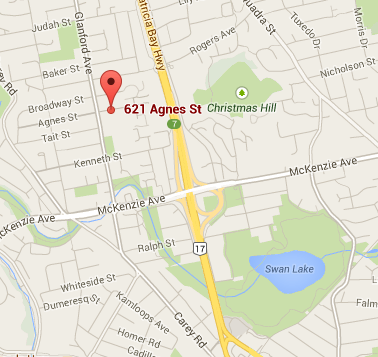 On Glanford Avenue, drive north out of Victoria and turn right on Agnes Street. The gardens are located on the right side after a few houses. About 100 yards down is a gravel parking lot. Park your car and take a look around. 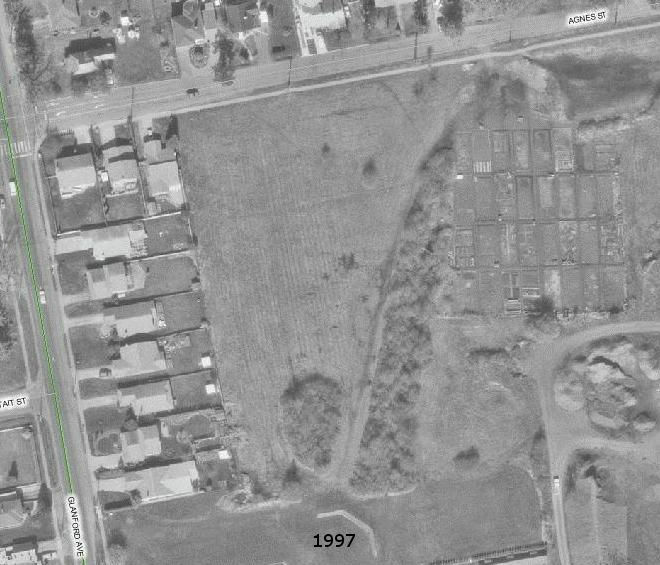 In the mid-1970's the provincial government established many allotment gardens in the Lower Mainland and Victoria. At that time Agnes Street Gardens was one of the smaller garden sites, with only 25 to 30 allotment plots for local resident gardeners' use. Over the years land development and financial pressures resulted in the loss of many of these original allotment garden sites. Starting in 1999 a series of three extensions increased the size of Agnes Street Gardens to the current total of 86 full plots. 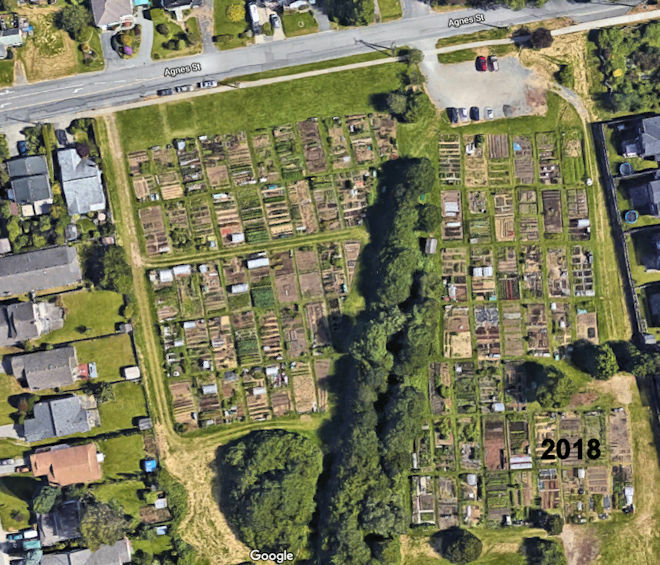 At the same time the gardeners and the local municipal government of Saanich worked together to save the land-base of the Agnes Street Gardens, which was slated to be sold. The result was a community garden land use type created within the municipal park structure, with long-term land tenure.